2016, a year in review. a look at 2017 & its challenges. 2016, A year in review. 2016 marked BetaNYC’s seventh year as a community group. As we continue to expand our role in promoting civic engagement through technology, this was one of our most intense years. 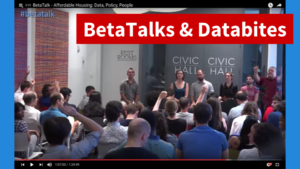 BetaNYC is a volunteer led civic technology community and advocacy group. With over 3,800 members, we are passionate about using our professional skills to demystify technology and government while improving our neighborhoods. In 2016, we expanded our volunteer leadership team to ten and looking forward to organizing an amazing 2017! Welcome Emily, Lauren, Tim, Dirk, Farheen, Lucio, and Terrance. Our NYC’s Civic Innovation Fellows program brings our years of open data and technology advocacy into practice. In partnership with Manhattan Borough President Gale A. 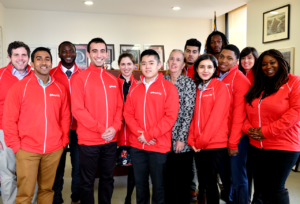 Brewer, the Fund for the City of New York, CUNY Service Corps, and Data and Society Research Institution, we launched a two semester program that educates and employs CUNY undergraduate students while exploring paths to improve Manhattan Community Boards. 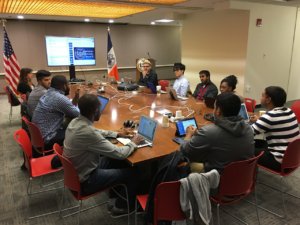 Our 2015 – 2016 cohorts ran through an 11 week bootcamp on New York City’s civic and open data ecosystem. To graduate from the bootcamp, fellows had to narrate a data story around the analytical skills they developed. A number of students discovered interesting data stories. For example, Bruna Jermann discovered that the number one NYC 311 service request was for more receipt paper in midtown Parking Meters. Tammoya Moore outlined a number of commercial noise complaints that led to a Borough President’s office investigation. Shalom Joseph discovered a correlation between complaints against apartment building superintendents and unsanitary housing conditions. Additionally, we discovered an error in how NYC 311 Community Board data geocoding. Our boot camp provided a valuable real-world working environment while improving our collective understanding of NYC’s open data. In the second semester, fellows were organized into three teams and assigned to research Community Boards capacity to use 21st century tools. These cohorts went into the field and visited every Community Board office. Our fellows performed a comprehensive analysis of Community Boards’ offices. From internet connection speeds, to software installed on computers, to social media usage, our fellows documented the gap needed to bring Community Board operations into the 21st century. The Manhattan Borough President developing these insights into a vision for Community Boards that work in and for the 21st century. In fall of 2016, we welcomed our second cohort. With the assistance of the Fund for the City of New York, we brought back four fellows to help mentor 2016 – 2017 fellows. Our second class of fellows were introduced to a completely revamped curriculum. Our second class of fellows will work to build an application that will process NYC 311 service requests and let the user explore service request trends. Additionally, our fellows will prototype a modern content management system for Community Board websites. We hope to have these programs completed by the end of May 2017. As part of the 2016 – 2017 cohort, we have revamped our Civic Innovation Fellows curriculum. From the comfort of your home, you can learn how to weave together NYC’s civic lattice, property data, NYC 311 service request data into maps or charts. In Feb 2017, we will release the NYC’s first open data manual. This book will demystify how to combine NYC’s unique civic ingredients. In the meantime, check out our curriculum on youtube. This year, we focused on impactful events to demystify and influence the dialogue around civic technology and open data within New York City. This led us to host two city-wide events and six BetaTalks. Since our founding, we have hosted community gatherings that provide a safe space to discuss and demystify technology, policy, and the people behind those decisions. 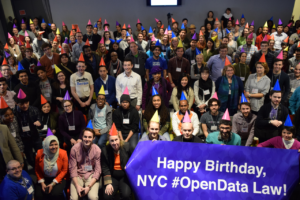 Our flagship event is a citywide gathering now known at NYC School of Data. The New York City School of Data is a collaborative network improving the City’s data ecosystem. This network seeks to enrich our lives and communities through technology, data, & design. This year, we invited civic hackers and community based organizations to learn from each other and share how we can improve our communities and our data. 2016’s School of Data conference was a day-long showcase of New York City’s open data ecosystem and its innovative users. Additionally, we held breakout sessions for the community to collaborate on some of NYC’s most pressing open data issues—including a data jam to address economic justice. We sold 372 tickets; checked in 260+ people, and provided day care for 11 children under 10 years old. We organized 18 sessions, 40 presenters, 22 who were women, 16 came from NYC Government, & three were elected officials. The highlight of the event came from Manhattan Borough President Gale A. Brewer’s announces a data science & digital civics curriculum for NYC High School and the Council Speaker Melissa Mark-Viverito giving a moving talk on why we need civic technology. In 2017, we will celebrate the fifth anniversary of the City’s open data law. For this celebration, we are looking to partner with Manhattan Borough President’s Office, Microsoft Civic, Mozilla, New America Foundation, and Silicon Harlem to build an event that transcends the traditional notion of a technology or data conference. We want to use this day to focus on how we can take hold of the data that is powering our lives, our city, and make sure we know what how to move forward. In 2016, we were hired by NYC Parks to help them think through the release of a new citywide dataset. 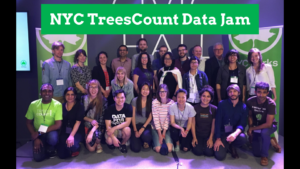 Built on the backs of 2,300 volunteers who measured and catalogued every street tree, BetaNYC and NYC Parks designed and executed a daylong data jam to explore how civic technologists and data scientists could use their skills to better understand NYC’s street trees. BetaNYC collaborated with NYC Parks to develop a workshop to demystify the street tree census data. Now, this workshop is used to teach community based organizations how to look and explore the data. The Data Jam featured 144 jammers, 45% male / 39% female / 16% unspecified / 1% other. For the day, the Parks department brought in subject matter experts to demystify how the data has real-world uses. In addition to Park staffers five community groups / public stakeholder groups operated as mentors. This was our second event to offer on-site childcare. At the end of the day, 23 projects we constructed and we awarded five prizes. The development of a user centered data release workflow. Curriculum and workshop material for the Parks department to teach the TreesCount dataset. A 47-page project report detailing event scoping, methodology, planning, insights, and summary. After much discussion, we stopped hosting hacknight to focus on impactful betatalks. In doing so, we streamlined our conversations to help the city release its data and demystify / educate the public on what is happening in and around civic technology. As a fellow at Data & Society Research Institute, Noel Hidalgo hosted a number of Databites that dive deep into NYC’s history. If you are wondering how we got to where we are today, these are a must see. In 2013, our community embarked on a five borough tour and authored The People Roadmap to a Digital New York City. This agenda setting book set-forth our community values and 34 ideas for the Mayor and his Administration, and Council to work on. Out of this document, we have seen several policy and legislative victories — better Freedom of Information tools, NY City Record Law, expanded Mayor’s Office of Data Analytics (MODA), and the expansion of civic innovation challenges. At the end of 2015, we advocated and supported the passage of five additional open data laws to strengthen the City’s open data ecosystem. Over 2016, we have worked with the Mayor’s Office of Data Analytics (MODA) and Department of Information Technology and Telecommunication (DOITT) to see them implemented. As part of the TreesCount project, we outlined basic data standards for data dictionaries, geostandards, and guidelines on how NYC’s open data should be human readable. 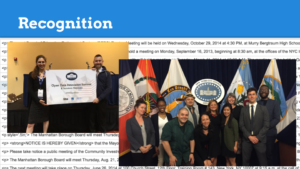 In 2015, City Council Speaker Melissa Mark-Viverito released Council 2.0, a civic technology plan to make the legislature more transparent and engageable. Over the course of 2016, we met with the Speaker’s office to provide ongoing support and feedback to ensure all New Yorkers have tools that work for them in the 21st Century. In late spring and early summer, we met with NYC Digital and provided detailed feedback on their NYC Digital Services Playbook. These 12 strategies grow from our ongoing advocacy to have government technology work for the people, regardless of location, device, language, or education. As part of this announcement, the Mayor’s office launched Alpha.NYC.gov. This is a pilot website for the City to experiment with new ideas and engage with citizens. The Alpha website is a direct descendant of a prototype BetaNYC members built for the City’s first hackathon, ReinventNYC.gov. Over the course of 2016, our leadership and community members were asked to provide advice on data set formats, pending legislation, and have continued to provide annual testimony to the City’s open data oversight hearing. Noel Hidalgo, BetaNYC Executive Director, is now a Democracy and Technology fellow at Harvard University’s Kennedy School Ash Center for Democratic Governance and Innovation. 2017 will be a challenging year. Our core values are rooted in the four universal freedoms and BetaNYC’s four digital freedoms — freedom of speech, freedom of worship, freedom from want, freedom from fear, freedom to connect, freedom of learn, freedom to innovate, and freedom to collaborate. We believe that a smart and wise city is built by empowering people to work together, to pursue opportunity, and to make the city a better place to live and work. As neighbors, we stand in solidarity; today, tomorrow, and forever. We see the next four years as a challenge. As a community, we will continue to fight for equality, opportunity, and we will defend our neighbors. BetaNYC’s leadership is committed to making New York City a diverse, inclusive city where all are welcome. We will continue to use our voice and programing to build a positive and inclusive future. For the next four years, we will continue to push our members to work in government, support community based organizations, serve on Community Boards, and we hope to have a few members become City Council members. 2017 will bring our city a municipal election that promises to change our City Council’s leadership and may change our citywide leadership — Mayor, Public Advocate, and Comptroller. Through the year, we will work with our community to develop a survey that provokes those who are running for office to think about civic technology, data, and design. Additionally, we want to partner with community based organizations and host townhalls to update our People’s Roadmap. This new year will bring about some organizational challenges. For BetaNYC to grow it needs to develop a full-time staff and sustained review stream. We need to find partners who will help us fundraise, grow our programing, and deepen our impact. Our ability to run as a completely volunteer organization has reached its capacity. In March, we will celebrate the fifth anniversary of the City’s open data law and we will build an event that transcends the traditional notion of a technology or data conference. On Saturday, 4 March 2017 we will host NYC School of Data conference! We will focus this day on taking control of the data that is powering our lives and our city. Additionally, we see a slate of improvements that could revolutionize our city. First, we want to see greater investment in Community Boards. We see an explicit need for improved Community Board tools and capacity. On top of translating our Civic Innovation Fellows’ insights into actionable tools, we see a need for younger, digitally savvy people to join Community Boards. For our 2017 – 2018 Civic Innovation Fellowship program, we want to hire several mid-career technologists to help develop tools and solutions that will increase Community Board capacity. Also, we see a need for younger and mid-career digital natives to work within government. Over the next two years, we want to broaden our Civic Innovation Fellows to all five boroughs. We want to diversify our talent pool to recruit mid-career designers and technologists to work on the City’s most pressing policy issues. We also want to grow our civic technology and open data trainings to be imbued within our High Schools and data science bootcamp trainings. NYC’s open data law will hit its most important milestone in 2018. By the end of 2018, the City should have uploaded all of its existing data to its data portal. With some agencies continuing to resist this law, we must be thinking of new ways to ensure the open data law is enacted. This means we need to be thinking about the future of New York City’s open data program and ensure it sustainability. From the creation of a more robust Mayor’s Office of Data Analytics to the creation of a Mayor’s Office of Data and Analytics, we need to flush out the next step in NYC’s data sustainability. We have one year to make this real! Not only is it pressing to ensure that data collection is improved, we need to ensure that some data is destroyed. We also want to ensure that New York City leads the way in ethical algorithmic government. We want transparency around data tools, algorithms, artificial intelligence, and tracking. We want New York City to be the thought leader in smart, ethical, algorithmic government. We are huge fans of municipal internet and big data, but not at the expense of privacy. We want to develop programming to explore issues around privacy, security and other risks associated with big data and the internet of things. Donate to BetaNYC. Honestly, we need about $200,000 to make it into next year. We have a super lean team, two full time staffers, two part time staffers (our Civic Innovation Mentors), and a volunteer leadership team. We really need your help to continue our work. 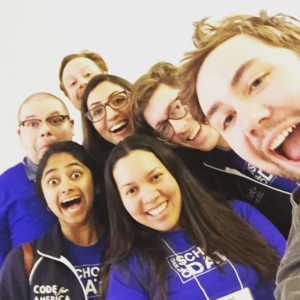 Save Saturday, 4 March for NYC School of Data 2017! Join our newsletter and be the first to know about all of our events. 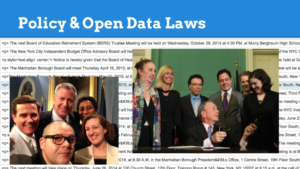 Learn more about NYC’s civic technology and open data ecosystem. In February, we will publish the first “New York City open data manual!” In the meantime, subscribe to our YouTube channel, watch our Civic Innovation Fellows videos, and follow along with the lab embedded within the videos.